Criminal allegations concerning theft or burglary are very serious. Whether you are charged with a misdemeanor crime such as shoplifting or are facing more severe felony charges, a conviction will follow you for the rest of your life. A criminal record can make it difficult to find employment, housing, or qualify for student loans and professional licenses. Morris theft defense attorney Michael Olewinski is prepared to provide you with an aggressive legal defense. He will work to protect your rights and fight to get the best possible outcome in your case. If you have been charged with a theft or burglary crime, it is important to get skilled legal representation right away. 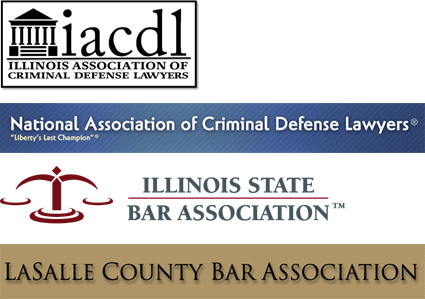 Contact an Illinois criminal defense lawyer online or call 815-942-5291 to schedule a free initial consultation to discuss your case. Burglary involves breaking and entering, and it is always charged as a felony crime. Theft charges have varying degrees, and may be charged as either a felony or a misdemeanor, depending on the value of the items that were allegedly taken or a defendant's prior criminal history. Either charge deserves the attention of a skilled Morris criminal law attorney. Attorney Olewinski has 20 years of legal experience. As a former Will and LaSalle County prosecutor, he understands how the other side works. He will use this knowledge and insight to your advantage, helping you build the strongest defense available. He is committed to addressing your concerns while working hard to get you the best outcome possible. If you have been arrested, it is important to get legal counsel from the Law Office of Michael Olewinski before you speak with the police or the prosecution. Attorney Olewinski can help you protect your rights to put you in the best possible position to defend yourself going forward. He understands how to challenge poor police work and procedural errors. Theft and burglary charges are very serious, and they require a serious defense. Contact a Morris theft defense lawyer online or call 815-942-5291 to schedule a free initial consultation to discuss your case. Located in downtown Morris, Illinois, the Law Office of Michael Olewinski is conveniently situated just a couple of blocks from the Grundy County Courthouse inside the Morris Building and Loan. Morris theft defense lawyer Michael Olewinski offers great legal service, and he has successfully handled many criminal defense cases. With 20 years of experience, you can be confident that Mr. Olewinski will help you protect and defend your rights.